As you may know, WCAG 2.1 was recently published as a Recommendation (see my WCAG 2.1 post in this past June). It adds 1 new guideline (2.5 Input Modalities) and 17 new success criteria. To help understand the new criteria, check out this excellent “Exploring WCAG 2.1” article series on the Knowbility website and written by Becky Gibson. Overall: Welcome, WCAG 2.1! The Web Content Accessibility Guidelines get an update. Axe-core gets WCAG 2.1 rules by Deque Systems. Webinar Sep. 26, 2018 “What you need to know about WCAG 2.1 by Léonie Watson. WCAG 2.1: An Evening With Andrew Kirkpatrick, Head of Accessibility at Adobe, YouTube recording from A11yNYC Meetup Sep. 11, 2018. Improving web navigation for speech recognition users – about Success Criterion 2.4.12 Label in Name (Level A) by Intopia. 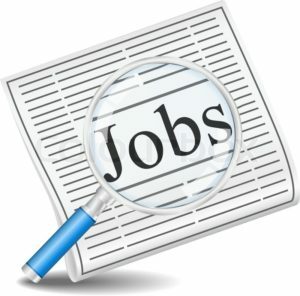 Digital Accessibility Analyst at LC Industries in Durham, NC. Senior Software Engineer – Accessibility at Salesforce in Bellevue, WA preferred (2 other cities listed). Sr. Accessibility Analyst at Visa in Austin, TX. Accessibility Specialist at Oath in Sunnyvale, CA. IT Accessibility Consultant at University of Maryland in College Park, MD. Front-End Developer (with accessibility skills) at HeX Productions in Nottingham, England, UK. Added: Senior Digital Accessibility Specialist at TD Bank in Toronto, Canada. Added: Instructional Designer Accessibility at Pearson in Austin, TX. Added: IT & Accessibility Analyst at University of Vermont in Burlington, VT.
Added: Web Accessibility QA wanted at Prudential in El Paso, TX or Newark, NJ. On Twitter, follow me, @a11yJobs, @EasyChirp and @LyndonDunbar for more! Here’s a great list of upcoming events relating to web accessibility.